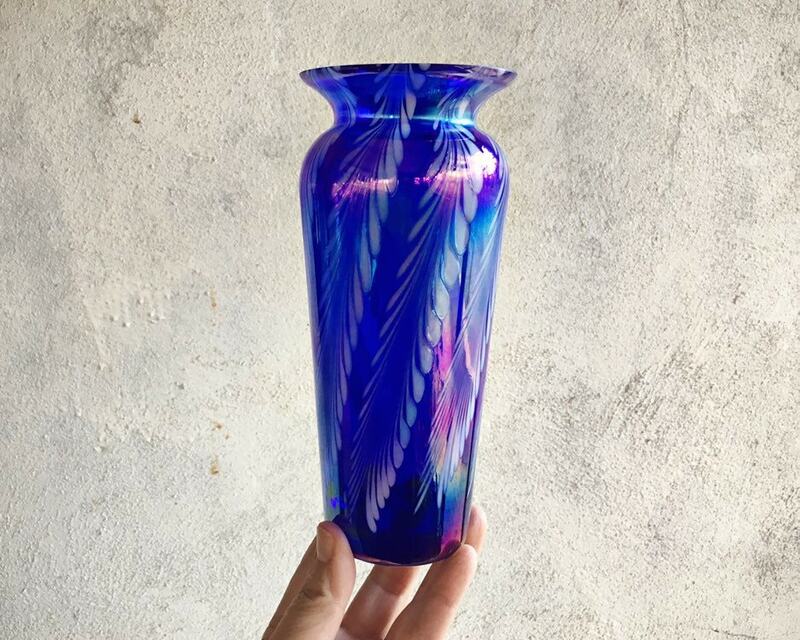 This pulled "feathered" art glass vase is a wonderful size, not too large nor too small, in a classic vase style. 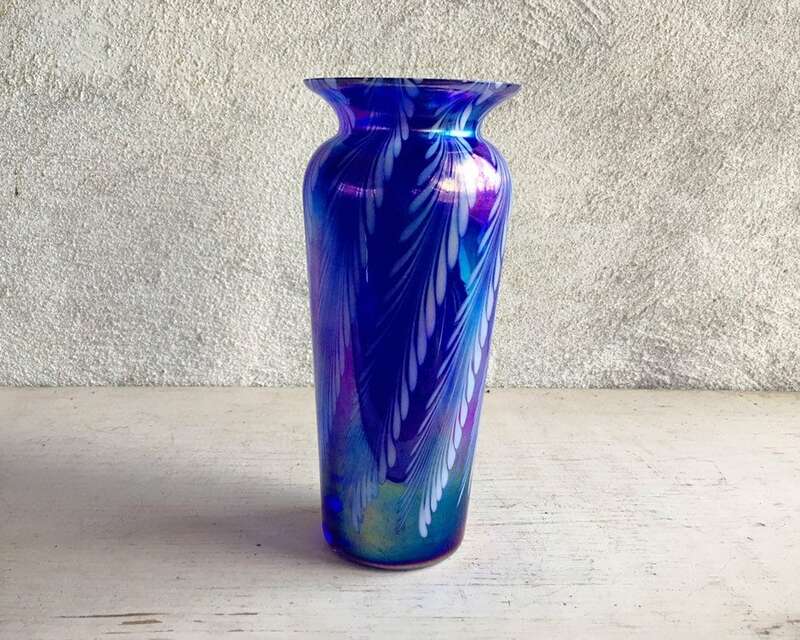 The color is blue with an irridescent purple-green-yellow sheen. 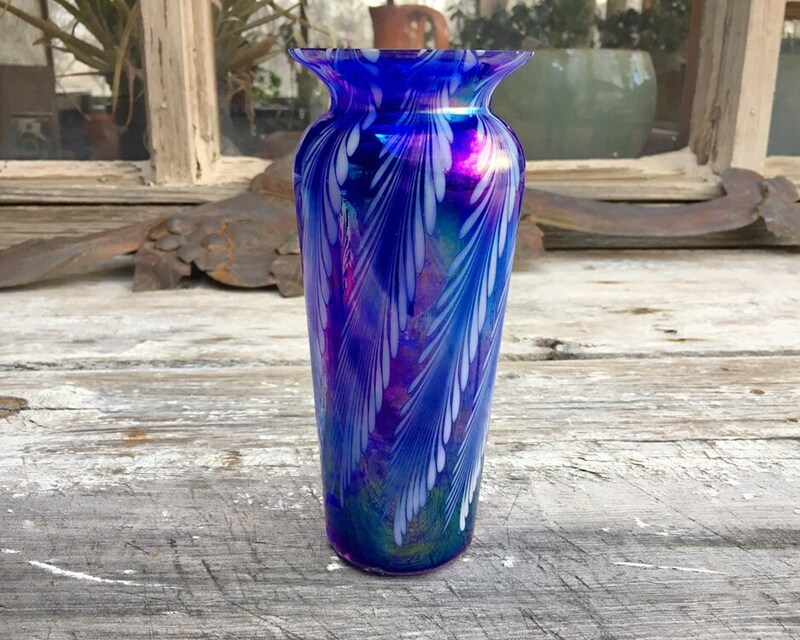 With feathered glass, the piece is reheated multiple times, and the craftsmanship comes in maintaining the design and the color. The piece is unmarked and unsigned. 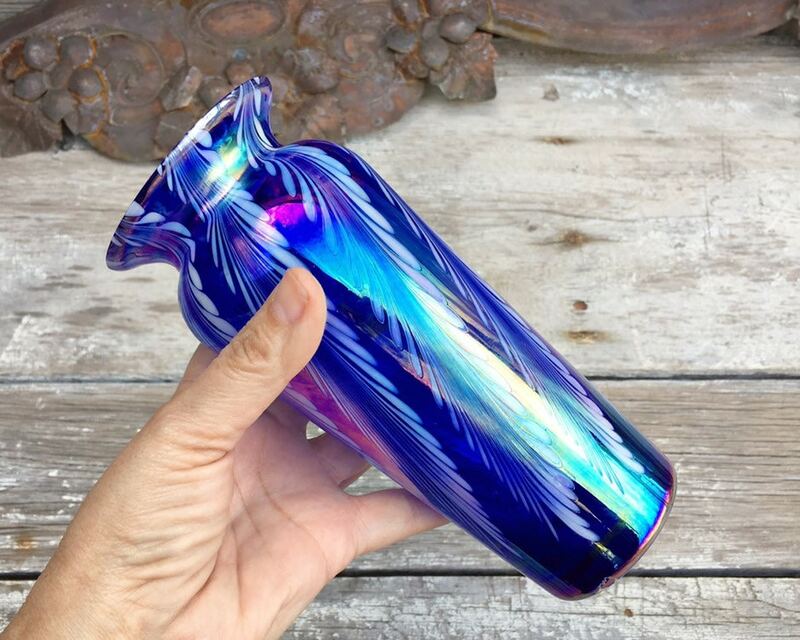 Perfect size for gift giving, as it is versatile enough to be displayed on a shelf, in a curio cabinet or hutch, or to set on a table with a collection of other art glass. 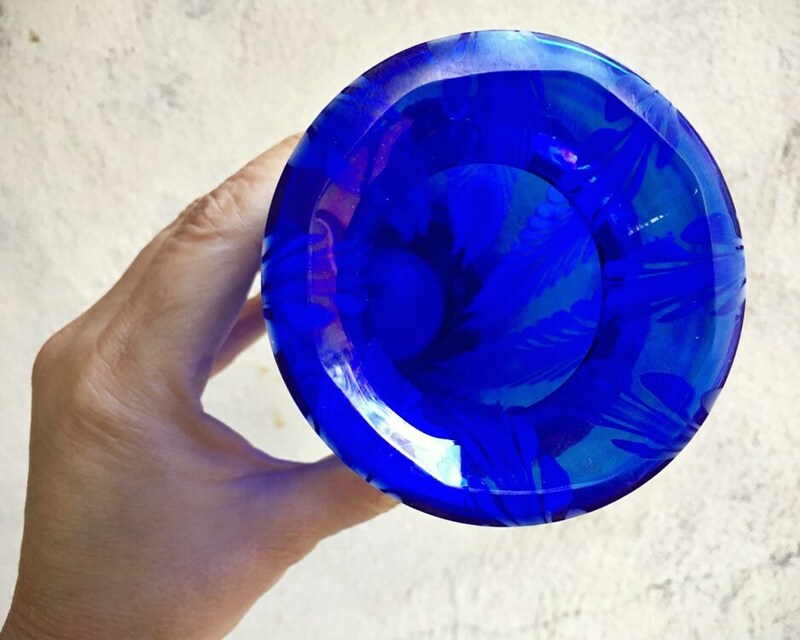 The color also makes it a wonderful addition to blue and white glass, but when placed next to green or yellow it picks up those hues as well. 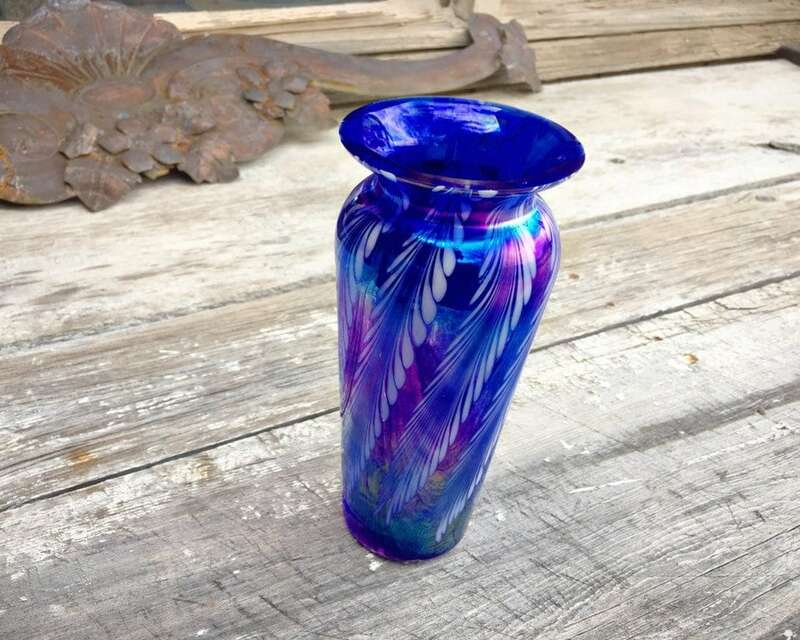 Measures just over 7" tall with a base 2-1/8" in diameter and a lip 3" in diameter. No chips nor cracks.